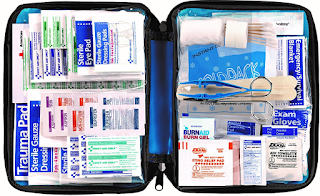 299-Piece First Aid Essentials Large First Aid Kit With Zipper Case $11.49 + Free Shipping. Contains 299 physician-recommended supplies. Full-fledged, easy-to-tote First Aid softpack contains Medicine, antiseptics, bandages, injury treatments, and more. Perfect for car, boat, home, or backpack Kit Dimensions: 9-1/4"x7-1/2"x2-7/8"
NO LIMIT, do as many orders as you want. Just change the quantity and order. If on mobile you have to click one time order first, change the quantity, then change back to subscribe order.